A gaping wound in the heart of West Papua, which was once a beautiful and sacred mountain, capped by a glacier, is visible from space. This is a photo the Indonesian government does not want you to see. A gaping wound in the heart of West Papua, which was once a beautiful and sacred mountain, capped by a glacier, is visible from space. It is so horrible and shameful for American politicians to see, they are taken in deliberately different flight routes when they visit the region so that they do not see the devastation which they are often helping to fund with this mine. Everyday thousands of tons of gold and copper are being extracted from the Grasberg mine, the largest goldmine on Earth. The work is also incredibly unsafe and unfair, whilst all of the mine owners are either American or Indonesian, the Papuans are given the most dangerous and low paid jobs. This year alone, over 29 people were killed in 2 mining disasters. When workers went on strike in 2011, they were beaten and shot at by police, at least one worker was killed. Freeport is Indonesia’s biggest taxpayer and all the proceeds are channeled to Jakarta, whilst Papuans become poorer and poorer in their own land. 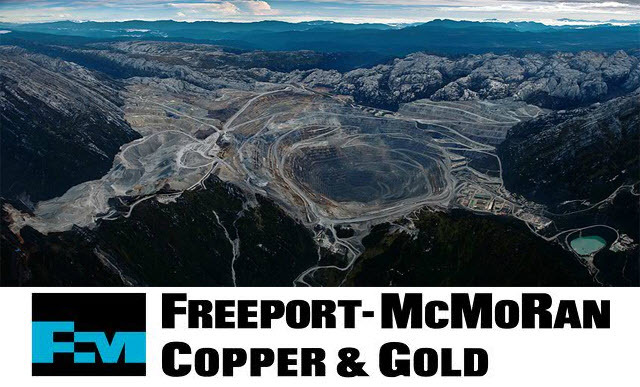 Freeport dumps over 238,000 tonnes of toxic waste into the local river system EVERY DAY. And pays the Indonesian military over 3 MILLION dollars every year to kill local Papuans and keep them away from the mine. During the start of operations here, thousands of local Papuans were killed and evicted by the Indonesian military just to make way for this monstrous mine. This only adds to the 500,000+ innocent West Papuan men, women and children who have so far been murdered by the Indonesian military, only for expressing their desire to live in a free and independent nation of West Papua. Even for just raising the West Papuan national flag, West Papuans are given jail sentences by the Indonesian authorities of 15 years. Indonesia – stop the theft of West Papua’s natural resources and destruction of the West Papuan land! Help to stop this 21st century genocide.